The right click menu allows the user to print or preview a specific Report Template. The template will use the selected object as the basis for the report (in other words, the output of the report is based on the data contained within the selected object). 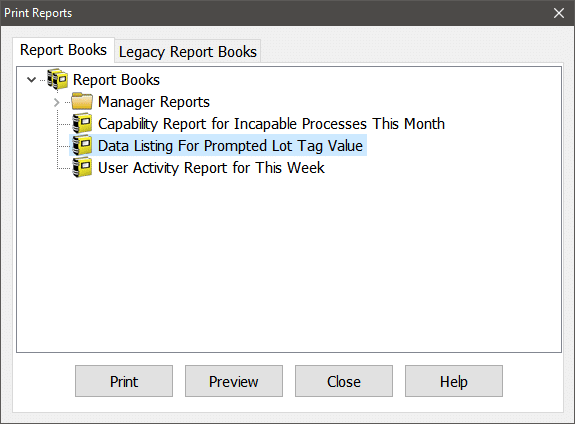 Clicking on this button prompts the user to pick an existing report book to print or preview. 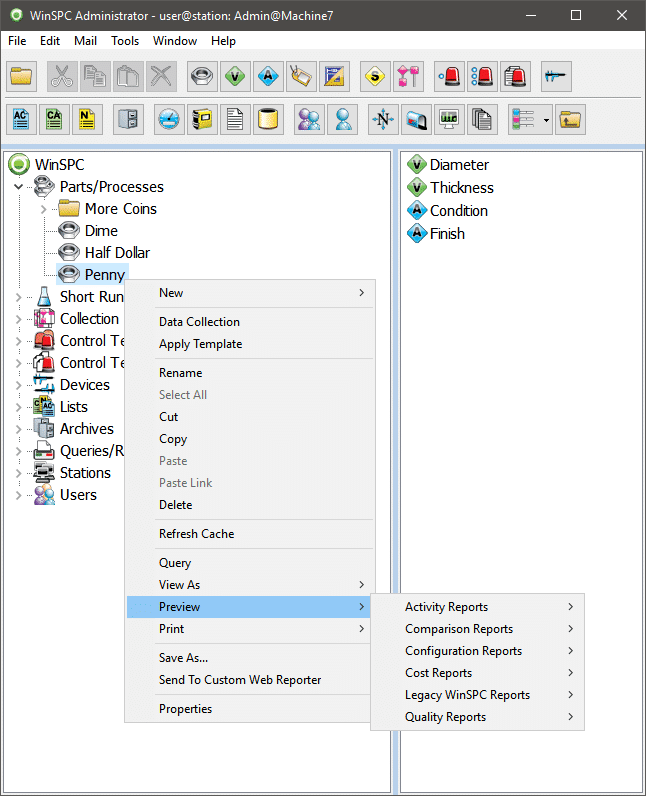 Reports can also be printed or previewed from within WinSPC’s Analyzers (both Variable and Attribute). 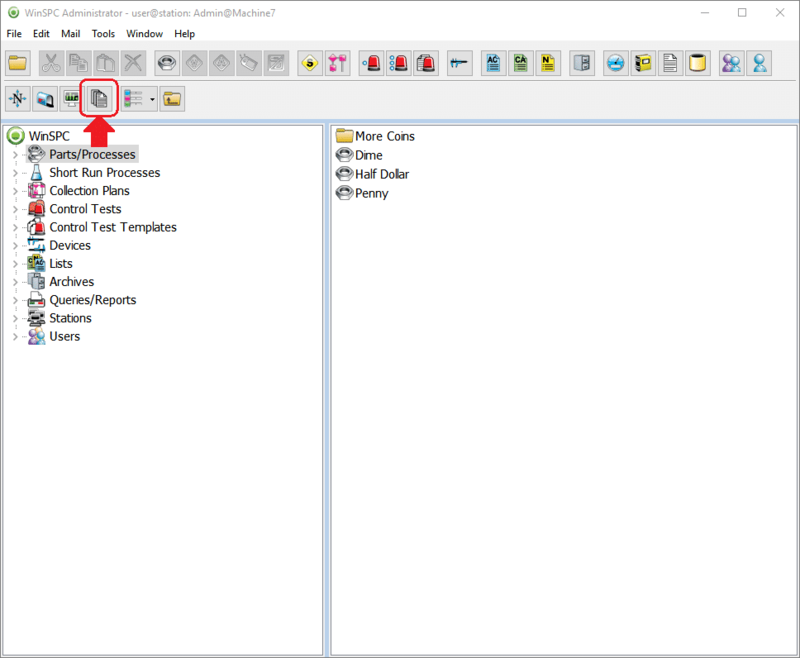 Clicking on the “Preview” button will allow you to pick a Report Template to use to preview using the data currently contained within that Analyzer window. Keep in mind you can filter your data in the Analyzers by clicking on the “Data Filter” button, the “Subgroup Range” button and/or the “Chart” tab’s right-click zoom menu. Any active filters will used when generating the report you select from the “Preview” button. 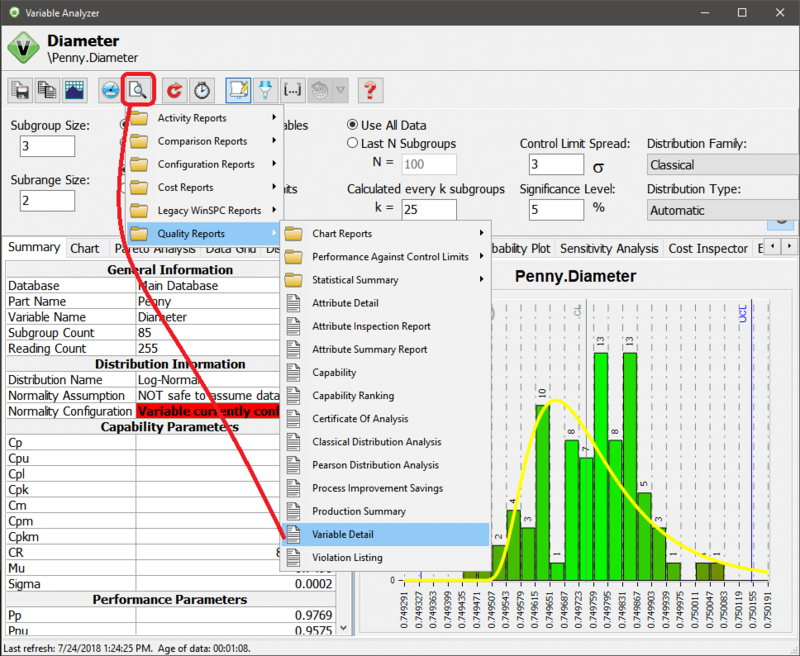 Similar to the Analyzers, Reports can be printed or previewed from within a WinSPC Data Set. The Data Set allows you to define criteria to pick which Parts/Processes, Variables, Attributes and/or Collection Plans are contained within that Data Set. Just like with the Analyzers, you can configure Data Filters, and then preview a report by clicking on the “Preview” button. In WinSPC 9 and above, Dashboards can be configured to preview or email Reports. These Reports can be configured to be initiated though an event called an Action. 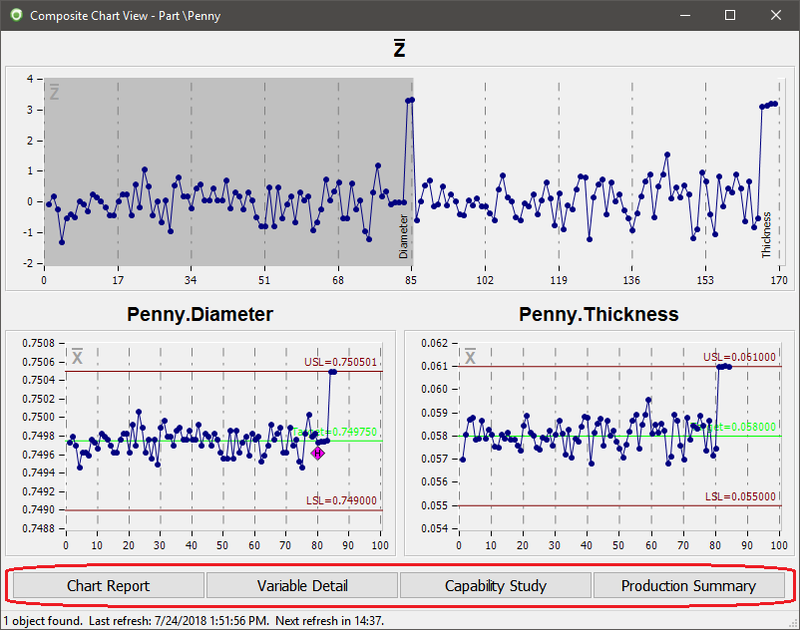 Actions can be clicks, or statistical violations, or control test violations or timers. Finally, Report Books can also be executed through command line switches. This allows you to setup an external scheduler, such as Windows’ built in Task Scheduler tool, that would run a report book (and produce pdf or html output) on a periodic basis. For more information regarding executing a report book through a command line, see this knowledgebase article.